Director Sajid Ali's "Laila Majnu" is obviously his take on this legendary Persian tale of star-crossed lovers. The story of this classic tale, is already known to the audience and it is perhaps the treatment by the director and the performances that one is intrigued about. Expectations run high but sadly, this version by Sajid Ali fails to do justice to this eternal love story. Set in Kashmir, Qais (Avinash Tiwary) and Laila (Tripti Dimri) are destined to meet and so they do. Typically rejecting his overtures initially, Laila finally gives in. They meet on the sly, but not for long as their love comes out in the open in not-such pleasant circumstances. The two families they belong to are at loggerheads and naturally the lovers are doomed from the word go. 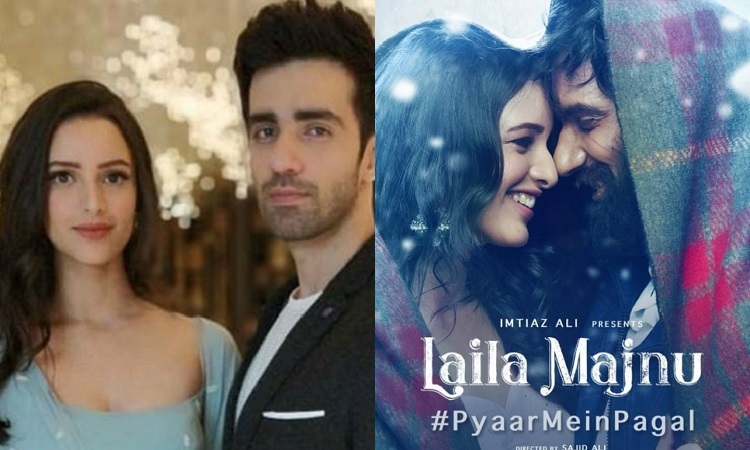 Predictably, Laila is married off to someone else and Qais slips into his character of a 'Majnu' - an ill-fated lover who is bereft upon losing his Laila. While one does not expect anything drastically new in the film, as the story is a familiar one, the curiosity of this modern version too dies down by half time as the plot fails to engage you. The lack of drama, credibility and unnecessary length of the film makes for tedious viewing. Instead of any inciting moments, bits of uncalled for and trite situations, clichd dialogues further lower the credibility quotient of the film. The romance itself which is supposedly the premise of the film is sorely missing. Nowhere does the audience empathize or relate to the lovers, as there is no chemistry between them. The relationship appears abrupt and forced. From a compulsive flirt, coquettish and daring girl, within minutes Laila is transformed into a demure girl who is deeply in love. A bit too hard to digest. The first half of the film offers a decent pace and one hopes it will pick up, but alas! The second half drags on an even keel and the last couple of scenes are stretched beyond limits. Avinash Tiwary as Qais shows tremendous promise and delivers a fine performance. He has a decent screen presence and is convincing as the distraught lover. Although the film is named after the two lovers, it is purely his canvas. Tripti Dimri as Laila is over-the-top and artificial and her portrayal of Laila lacks soul. Parmeet Sethi as her father delivers a lackluster and perfunctory performance. The backdrop of Kashmir seems apt for a love story as the locales are breathtakingly beautiful and suitably captured by the lensman. The music too flows with the narrative and is pleasing to the ears although nothing really touches your heart. 'Sarphiri' and 'Aahista' though are fairly melodious. Some love stories never die, but sadly this timeless tragedy is buried beyond redemption here. One steps out wanting to cling to the memories of the Rishi Kapoor-Ranjeeta starrer of yesteryears. I want to be pan-India entertainer: Kiara Advani Salman's comic comment over Ranveer Singh's fashion sense!